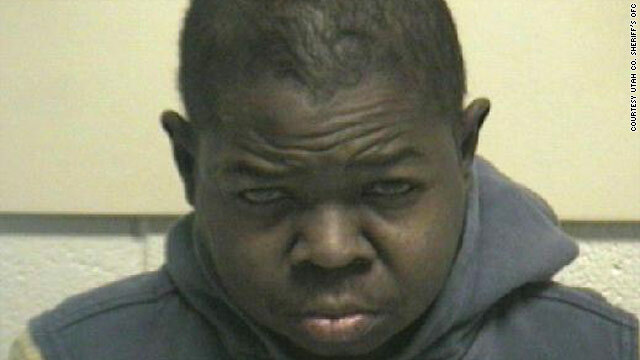 Gary Coleman was arrested and booked Sunday in Utah County, Utah. (CNN) -- Former child actor Gary Coleman remained in a Utah jail Monday after being booked on an outstanding arrest warrant relating to a domestic violence case, authorities said. "He's still our guest here," Utah County sheriff's spokesman Lt. Dennis Harris said Monday afternoon. Police visited Coleman's Santaquin City, Utah, home Sunday in response to a civil disturbance call, but no criminal charges were filed, a police spokeswoman said. A computer check, however, revealed a misdemeanor failure to appear in court warrant for the former "Diff'rent Strokes" star stemming from a domestic violence incident last year, the spokeswoman said. Coleman, 41, was arrested and booked without incident Sunday in the county jail in Spanish Fork, the spokesman said. Coleman could get out of jail by posting a $1,725 bail, but that has not happened, Harris said. Coleman's mug shot released by the jail showed that he was "not too happy," Harris said. Police did not release details about the previous case related to the arrest warrant. CNN's Alan Duke and Jack Hannah contributed to this report.